Delivering high quality product to its customers has always been a key goal for Cable Tie Express. That commitment remains firm today from both the sourcing perspective and its focus on quality assurance once product has arrived at the Cable Tie Express facility. Our inhouse quality department and testing laboratory provides that competitive edge from the quality standpoint over many suppliers in the marketplace. 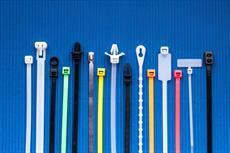 We can help you find the cable tie for your application.